The first thing I noticed, when talking with Oy Vey Vegan Cookbook author Estee Raviv, was her passion for her work. Now in food, you will find passionate people (we all love to eat). Raviv is an artist. 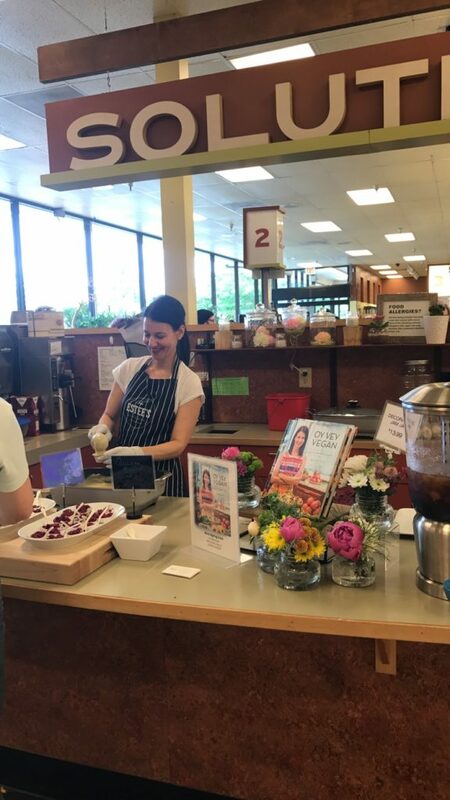 Cooking is an outlet for her creativity – and that anyone can relax – and cook – in the kitchen. 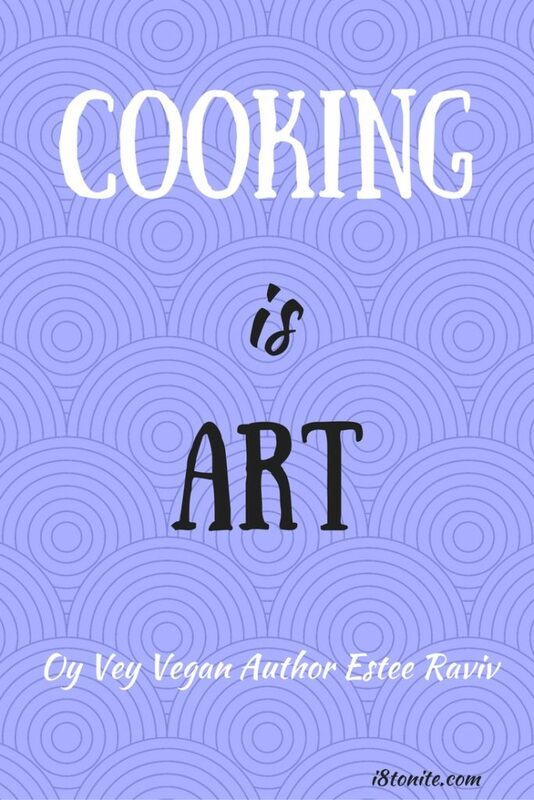 Cooking is Art! 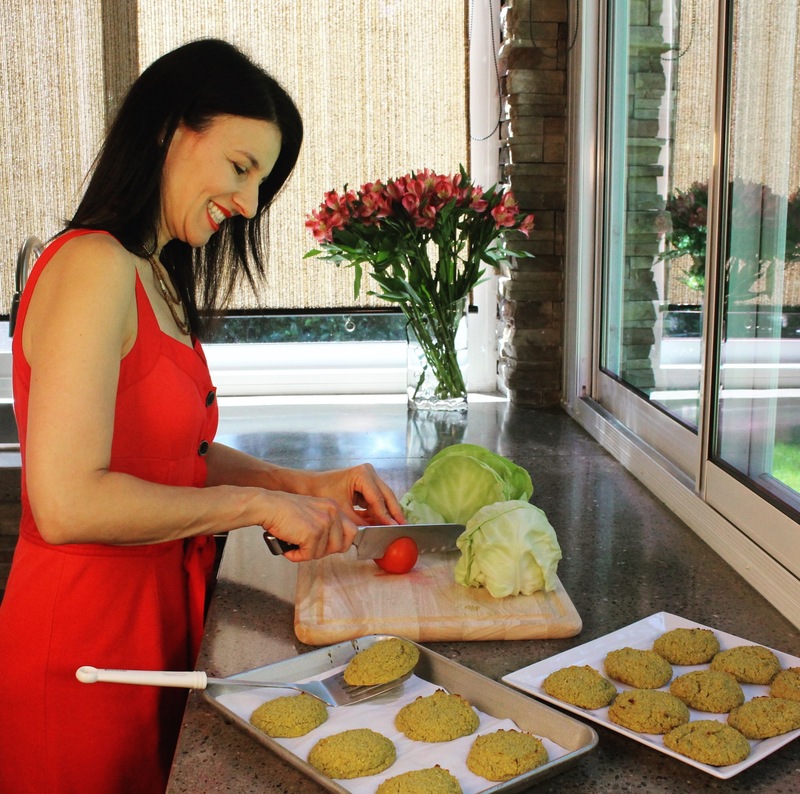 Raviv’s foray into Vegan cooking and eating came about because of her digestive issues. 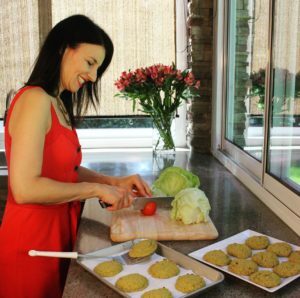 After being raised in Israel, where cheese and dairy are plentiful and delicious, she experimented with elimination diets – and found that eating vegan changed her life. 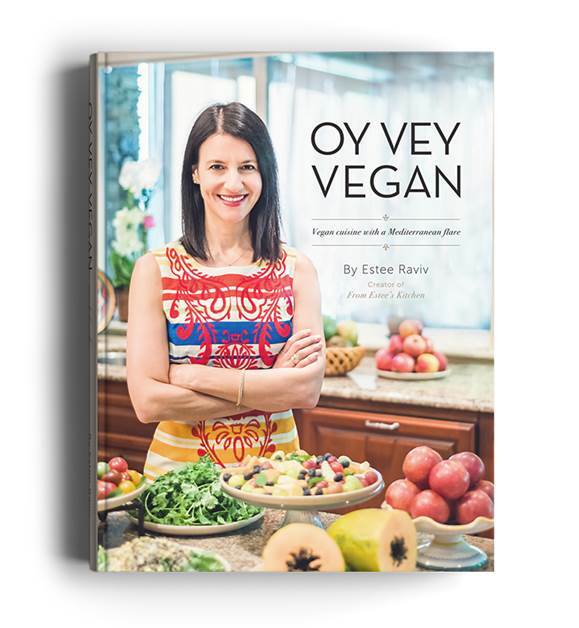 That change is why she started writing her blog, as well as her new cookbook, Oy Vey Vegan. She was so happy that she felt so good, and wanted to share this with the world. 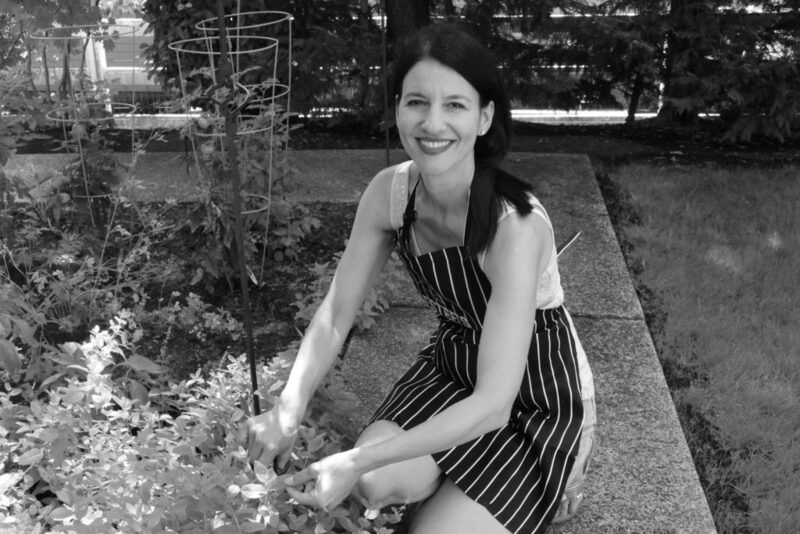 Raviv noted that, like all of us when faced with changing our way of eating, she found it difficult to change her state of mind, and said, “What am I going to do now?” How could she change her routine – and ways of thinking? 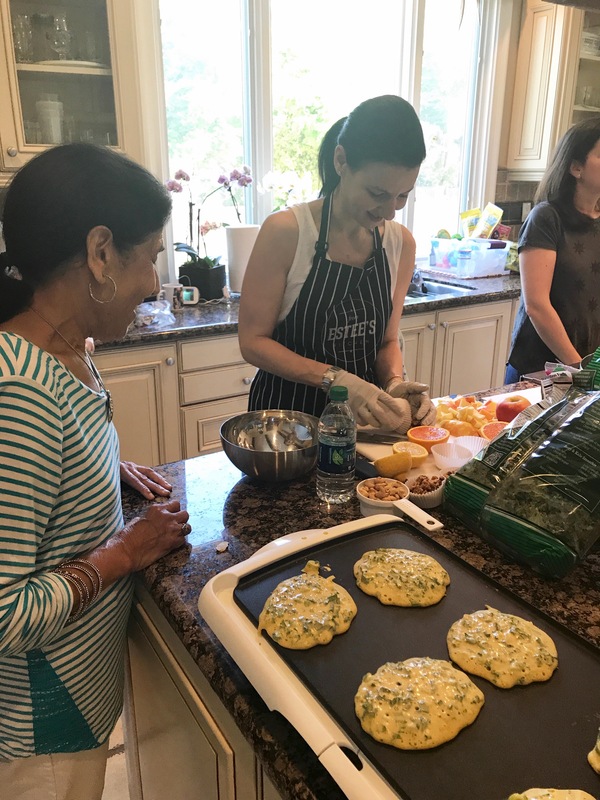 Well, we can all learn from her – she created her own menu for every day, and found alternatives that are healthy and not trying to be something else. 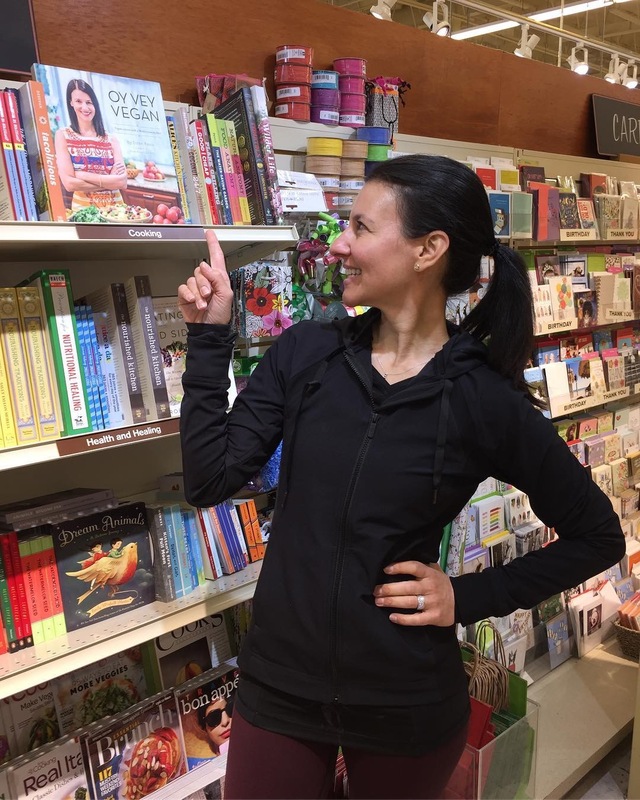 Raviv avoids processed food – she noted that “you can be vegan and eat junk, so coming to veganism as a healthy aspect of a plant-based diet is helpful. Vegan eating is very healthy for us and, of course, it can prevent all types of cancers and other chronic diseases.” Her own menus sound delicious, starting with oatmeal for breakfast (which she loves), and then whatever healthy snacks she chooses for the day – lots of fruits, vegetables, legumes, and very creative salads that contain plant-based protein. 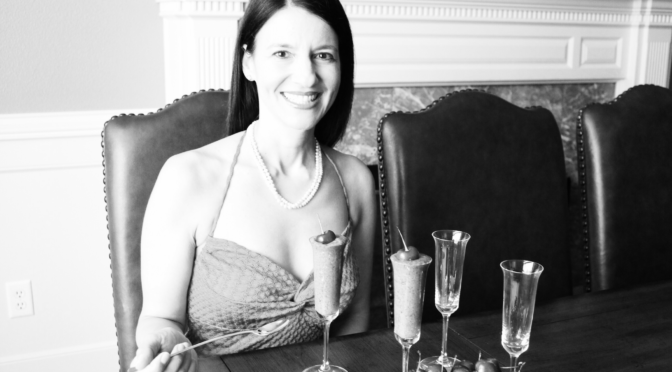 Eating vegan is a whole new world that is fascinating and creative, and she thrived in it. Appearing on a regular basis with a cooking segment on tv in Oregon and Washington, and teaching cooking classes with From Estee’s Kitchen, Raviv is happy to share the things that she is cooking for her family every day. She loves to eat, is passionate about food, and can eat as much as she wants. 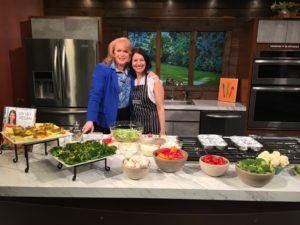 Delicious food as preventive medicine? Sounds good to me. Fruits, vegetables, tempeh and Almond milk. Everything vegan, mainly recipes from my book and new recipes that I develop. Today, for example, I made a sprouted lentil salad with orange slices and sunflower seeds, homemade hummus and stuffed eggplants. First, I love people that love to eat. People that appreciate good healthy food, and people that are passionate about food in general. What marked characteristic do you find unappealing in a person with whom you are sharing a meal? People that are not open to try new food. People that think that vegan food is not satisfying food or not good food. Love avocado, every day! Year round! 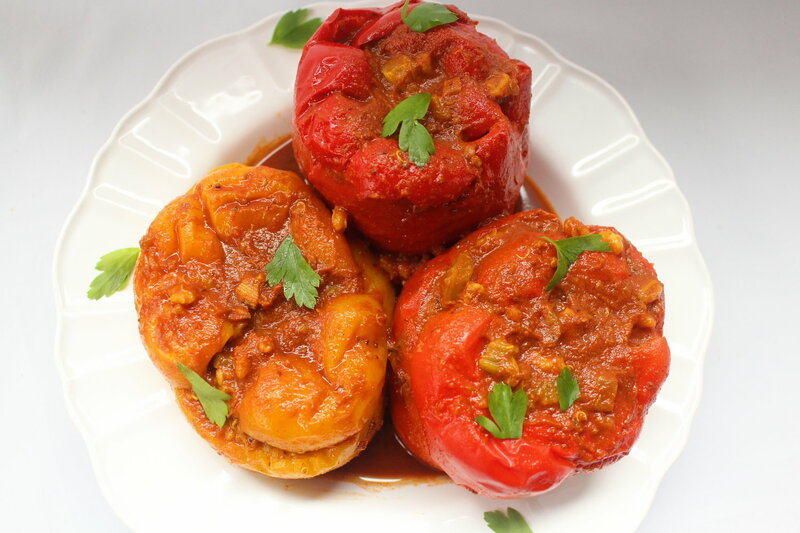 Growing up, my mom used to make stuffed peppers all the time. And I loved it! Of course, she used meat and rice in her recipe. I recreated it vegan-style and it turned out so flavorful! No meat is necessary to create an amazing stuffed peppers dish. In a sauce pan on medium heat add olive oil, celery, green onions, salt and pepper. Saute for a couple of minutes. Add the spices: turmeric, paprika and onion powder, Saute for a couple more minutes, then add the pearl barley, quinoa, boiling water. Lower the heat and let simmer until all the water have evaporated. Add parsley or cilantro, mix and Set aside. Add all the ingredients in a sauce pan and bring to a boil. Place the peppers in a wide pan; try to fit the peppers tightly. Fill the peppers with the filling mixture and cover them with the top part of the pepper. Pour the sauce over the peppers and let simmer for an hour, or until the peppers are soft. Every 10-15 minutes, take a spoon and pour some sauce on the peppers, to keep them moist and flavorful. Be creative and you can always use the filling in any other veggie you like. This specific filling is super light because it has a large content of the celery, and a lesser amount of carbs.